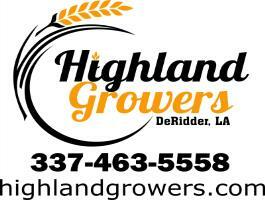 Welcome to Online Account Access from Highland Growers! Your User Name is Your Customer Id Located in the upper right hand side of your statement. If you did not get an access card with you statement, send an email to sales@highlandgrowers.com and we will send your password.